She was amazing on the flights and slept through most of them. 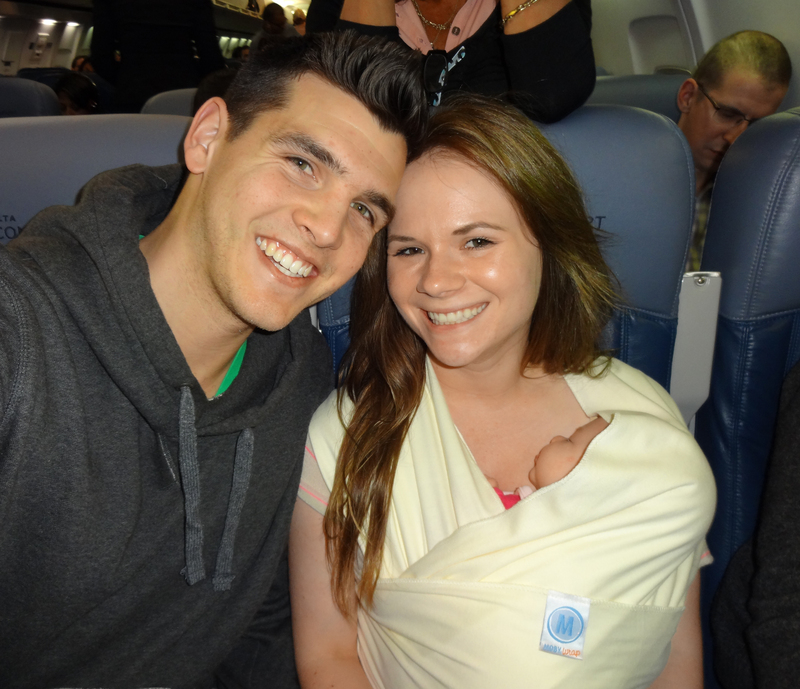 We used a Moby Wrap to carry her through the security lines and on the flights. We are so glad that we bought one before leaving on Thursday because it was such a huge help! We got so many comments from people telling us how cool it was on the flights. We have two other baby carriers but Claire is not the biggest fan of them right now; she seems to feel claustrophobic in them. The Moby Wrap is great for skin-to-skin contact and she loves it because it’s kind of like being swaddled mixed with cuddling with us. The facilitator of my mom’s group recommended it and I’m so glad she did. We flew back yesterday and have been resting ever since. The last flight was pretty long so I had to feed her a couple times and she was awake for half of that flight. She spent that time taking in the sights around her and was very smiley. She did get upset at one point because I think she got overwhelmed with the flight attendants ooogling over her cuteness. We were able to calm her down and she fell asleep soon after. She wasn’t bothered by the air pressure but I think that was due to me either feeding her right before, her sleeping, and/or sucking on her pacifier during each takeoff and landing. People sitting around us told us that she was the best baby they’ve ever flown with. We’re so lucky that she did so well. Oh and apparently, Delta changed their preboarding policies and, on the last flight, they wouldn’t let us preboard because we didn’t have a stroller. What kind of policy change is that!?!? We were so mad. Boarding early with a newborn helps so much because it gives us time to get situated, change her diaper if needed, and feed her if she’s hungry. I honestly don’t understand why they would change their policy to only allow babies that have a stroller to board early but it’s dumb. We are definitely going to send them a complaint letter for that. Other than that, our weekend was so fun. 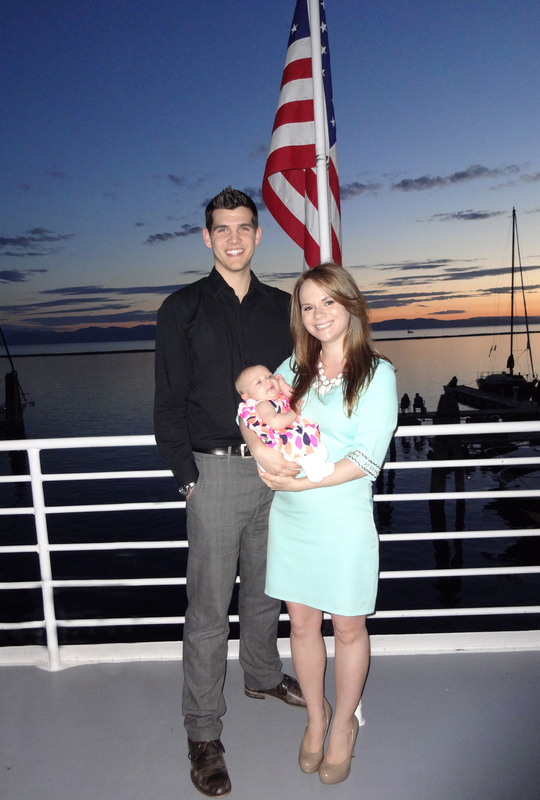 We went on a cruise on Lake Champlain on Friday night to kick off the wedding weekend celebrations which was amazing. The scenery was gorgeous and it was so great for Claire to meet some of our East Coast family members. 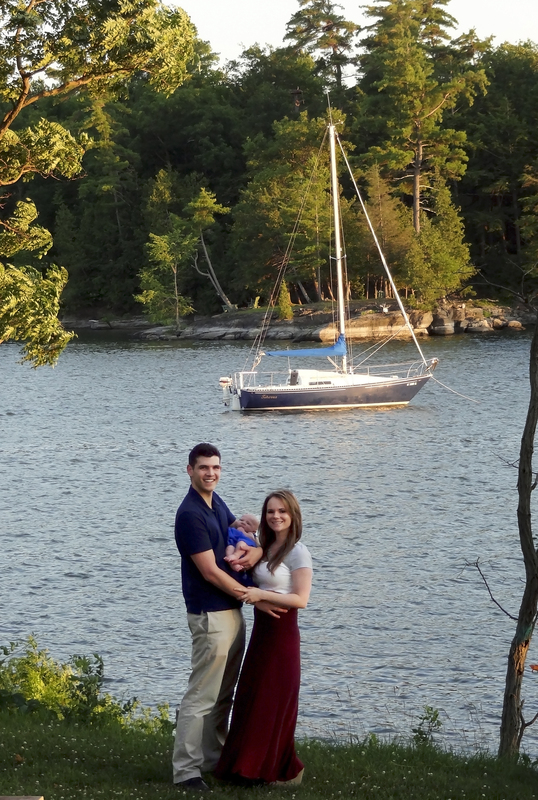 The following day, my niece got married overlooking a beautiful bay at a state park in Vermont. 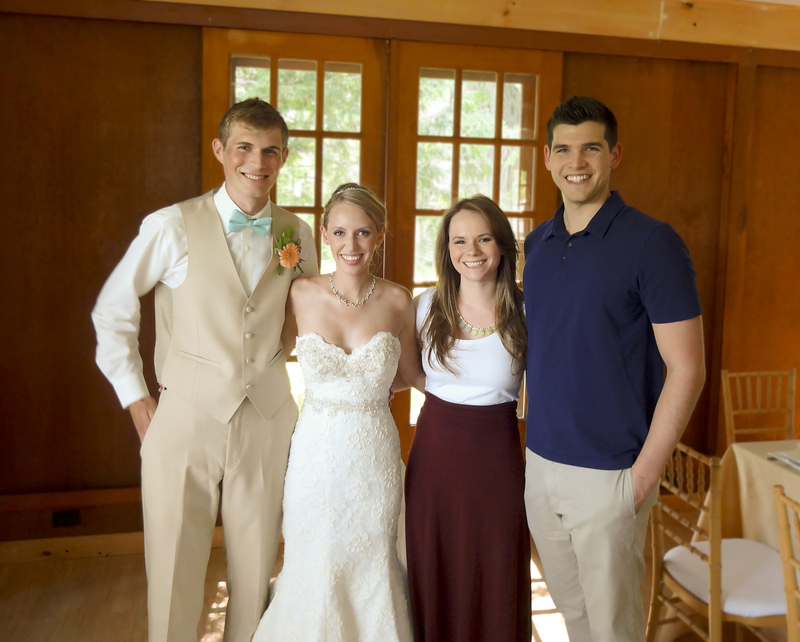 It was the perfect day for a wedding – it wasn’t muggy and the scenery was breathtaking. Not to mention, the bride was so stunning that I got goosebumps when I first saw her. Congratulations Alli and Ben! You are the sweetest couple and we’re so happy for you both. Wow congrats on a successful first trip, especially so early on! We have to fly to the east coast when baby will be 3 months and I’m starting to get nervous about it already.